Cranberry Acres Equestrian Center is a family owned and operated business serving the greater Richmond, VA area for more than 20 years. The program at Cranberry Acres has been developed to train future equestrians in the SAFE handling and riding of horses. Susan Ambrose grew up around horses on her family horse farm and riding academy in Milford, Ct. Her riding experience came first from family training, then Susan became a very active 4-Her and earned a nomination to ride the Big E – two years – to represent the county of New Haven. As a 4-H rider, Susan rode Western Pleasure and Gymkhana. She then moved on to Huntseat Equitation, purchased and trained her first Hunter “Billy Joyce” who went on to win CHJA State Champion in 1986. The team then continued to compete in both Jumpers and Combined training through 1992. During this time, Susan trained several horses with Michael Page, and had the opportunity for several clinics with George Morris and Jack LeGoff. 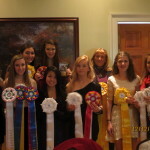 Susan earned her Certification through business courses at Southern CT State College, Equine Courses at UConn, and training and showing with noted professionals of the time. 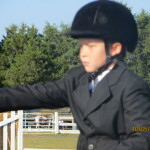 During the time Susan worked full time at the family riding academy, teaching Western and Huntseat and taking students to honors at both state CHJA and 4-H levels. Mike maintains the Cranberry Acres Equestrian Center, caring for 35 horses and 40 acres of beautiful Virginia countryside.